This entry was posted in Insider Tips, Outdoor Adventures and tagged beach, coastal, del mar, encinitas, golf, horse racing, north county, solana beach by Suzzanne. Bookmark the permalink. My husband is a fireman & works in Del Mar. We would enjoy staying OVERNIGHT in Del Mar at The Grand Del Mar Resort and enjoying the beaches AND scenic helicopter ride! Having formerly lived in the Norht County for over 20 years I have visited so many spots along the coast and inland. I have to say one of my fav’s is Encinitas/Leucadia/Cardiff area. It so eptiomizes the beach lifestyle–relaxed, carefree and pleasant. In all those years I’ve never seen the coastline from the sky. Now that would be an adventure. We went to the Del Mar fair July 4th. 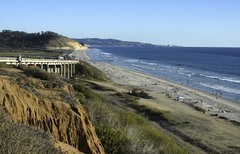 We would love to come back and take a helicopter ride over the beautiful shoreline and also attend the Del Mar races! We just visited the fair on July 4th. 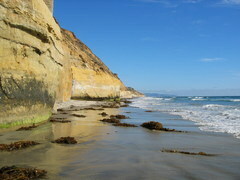 I want to come back to see Del Mar and enjoy the ocean and Del Mar races! My daughter got married in Del Mar at the park overlooking the ocean. Beautiful!